I know that this sounds simple (read: boring and uninspired), and it is simple, but it's also somehow magically delicious! 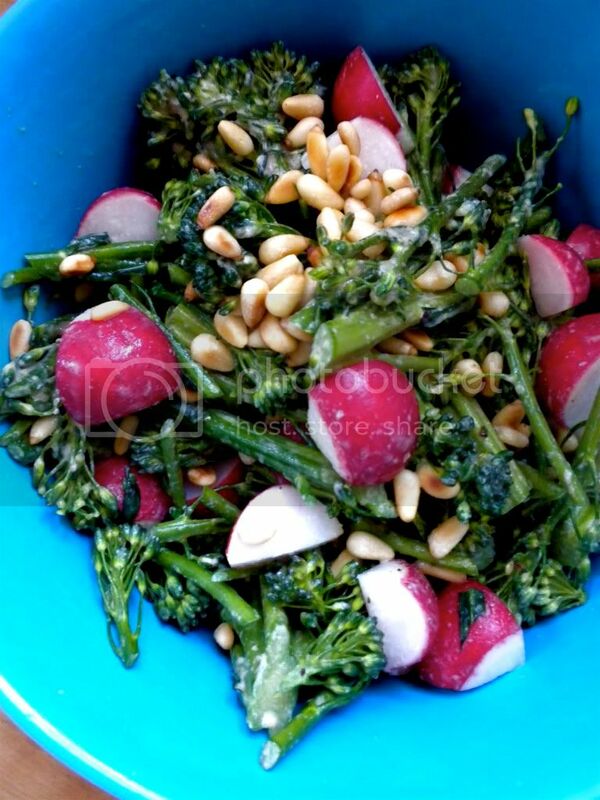 Something about the combination of creamy tahini, buttery pine nuts, and crunchy broccolini and radishes worked really well. 1. Wash the broccolini and radishes. Cut the broccolini on the bias into manageable chunks. "Top and tail" and quarter the radishes. 3. Mix the dressing: Combine the tahini, vinegar, olive oil, salt and pepper. 4. Toss the veggies, dressing, and pine nuts. Devour.